The Ford Fiesta is hugely popular with Irish car buyers and it remains one of the most-searched supermini models on Carzone each month. With a growing appetite for crossover-style cars of late, Ford has added another string to the Fiesta’s bow by adding another model to the range in this, the Fiesta Active. 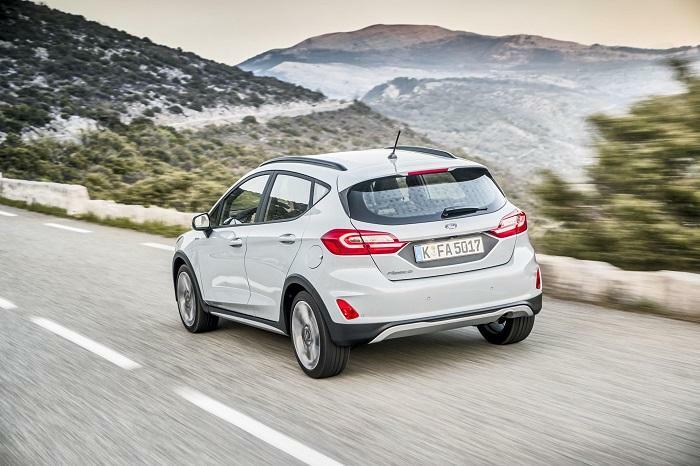 With chunkier crossover styling and raised ride height, the Fiesta Active broadens the car’s appeal in similar fashion to the Hyundai i20 Active, the Opel Crossland X and Citroen’s C3 Aircross. 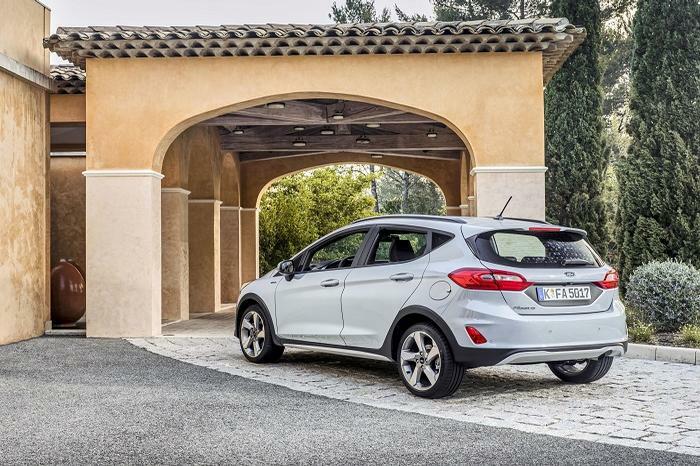 We were impressed with the latest Ford Fiesta when we drove it on Irish roads last year, but is the Active worth the extra outlay? So, what’s different to the normal Fiesta hatch? Well, for starters the Fiesta Active is 18mm taller and it has a wider track with various other elements of SUV inspiration. Throw some pronounced bumpers, black wheel arch plastics and roof rails into the mix, and the Active looks broad-shouldered and sturdier than the standard Fiesta. The Active adds certain crossover characteristics without losing the overall design methodology of the standard Fiesta. 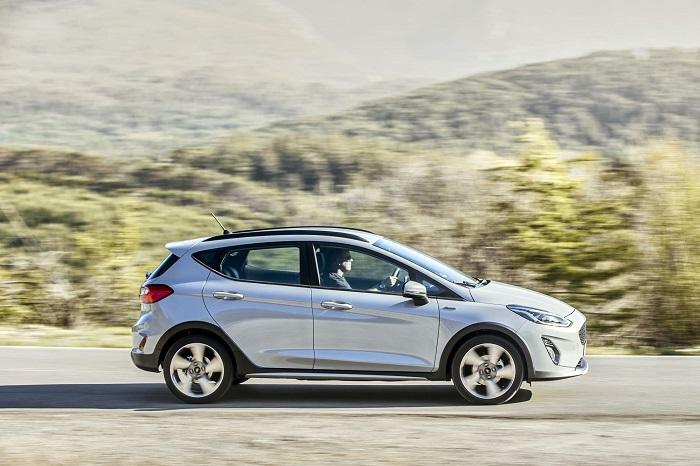 The Fiesta Active is a relatively unique concept and there are few other supermini-come-crossover models on the market right now, with the Hyundai i20 its only direct rival at present. The Active is kitted with 17-inch shadow black alloy wheels as standard; a striking contrast against the Frozen White paint scheme on our test car. Surprisingly, the Active isn’t much different to the normal Fiesta inside. 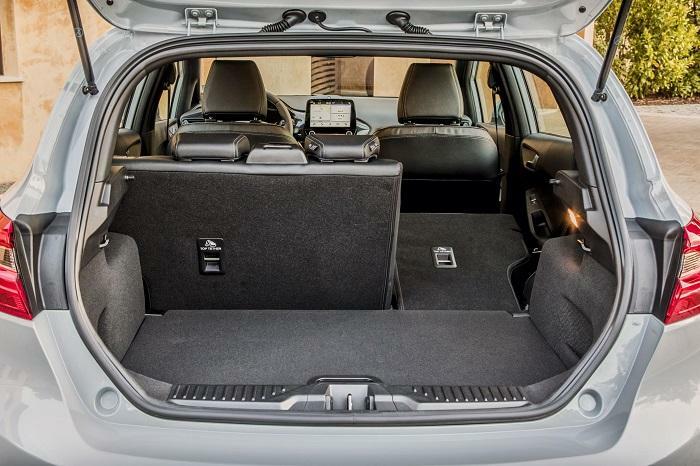 Despite the SUV-style exterior makeover, it isn’t any roomier inside, though it is capacious enough to seat four adults in relative comfort, five at a stretch. 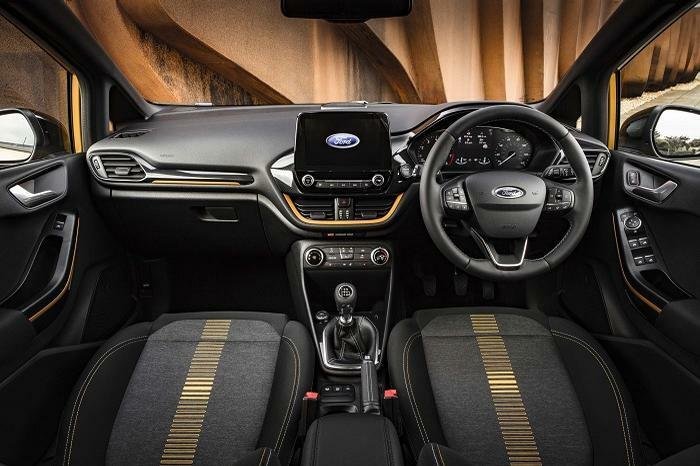 The dashboard is logically laid out and incorporates Ford ’s Sync 3 eight-inch touch screen which also supports seamless smartphone connectivity courtesy of Apple CarPlay and Android Auto. 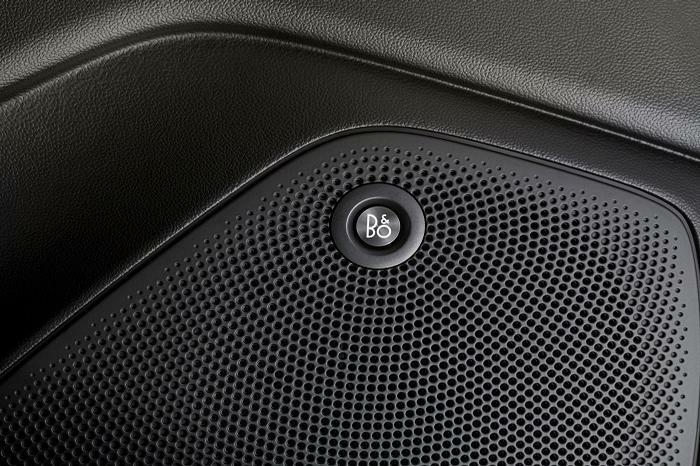 While the touch screen is easy to use and meets most requirements, it isn’t as impressive as the Volkswagen Polo equivalent system. There is lots of adjustment for the driver through the seat and steering wheel, and the increased ride height adds a tad more road visibility too. Our test car is equipped with extra-comfy sports seats with yellow trim, which look and feel the part. The Fiesta Active is equipped with Ford ’s turbocharged 1.0-litre EcoBoost petrol engine, which is great news as it’s a brilliant unit. With 100 horsepower and a six-speed manual transmission, the Active whisks easily around town and it cruises well at motorway speeds too, all the while with a characterful three-cylinder hum. This is the only engine offered in the range right now though, which means there are no diesel units to consider. That said, the little EcoBoost it is reasonably cost-effective to run, and Ford claims average economy of 6.1l/100km while annual motor tax is listed at just €200. 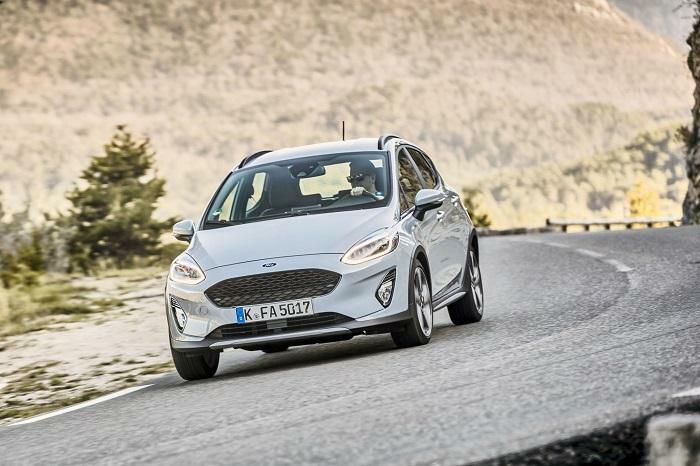 The latest Ford Fiesta is one of the best cars to drive in its class, and despite being taller and more crossover-orientated, the Active follows suit in this regard. It is fun to drive on twisty roads and grips the road well with responsive steering and relative poise. It tends to run wider in corners than the smaller Fiesta Supermini but we will forgive it for this. Slightly revised suspension and the increased ride height do wonders for the Fiesta Active’s ride quality however, and it offers much improved bump absorption on less favourable road surfaces. Prices for the new Ford Fiesta Active start from €18,885, which is considerably more than the comparable entry Fiesta (€15,377). We drove the higher specification ‘Active 2’ model which benefits from a host of upgraded equipment, though prices start from €20,734. The Actie 2 is well-equipped with 17-inch alloy wheels, a contrasting black roof colour scheme, black roof rails, an upgraded Bang & Olufsen sound system, Ford ’s Sync and eight-inch touchscreen infotainment display, cruise control, rains sensing wipers and traffic sign recognition. There is also the upgraded sports cloth seats with yellow accent and detailing along with a centre armrest. Our test car is also equipped with a selection of optional extras including the Frozen White Paint scheme and rear parking sensors. The Fiesta Active takes inspiration from the SUV world with raised ride height, smoother ride comfort and chunkier styling than the Fiesta supermini. It remains fun to drive too with low running costs from the excellent EcoBoost engines. That said, it isn’t any more spacious than the regular Fiesta while it is considerably more expensive, and it isn’t really an SUV either. If you you’re your heart set on a supermini-sized car with a little more presence, it’s one to consider along with the Hyundai i20 Active. There aren’t many other options in this segment.